Available for sale $1,200 unframed – call 415-626-3971 to purchase. This video gives you a taste of the experience watching the drawings being created by Peggy and I as Deanna and James played. The next Parallel Play, BEETHOVEN’S ELECTRIC LIGHTS, is Saturday, September 17th, 7:30 PM – 10 PM, $20. 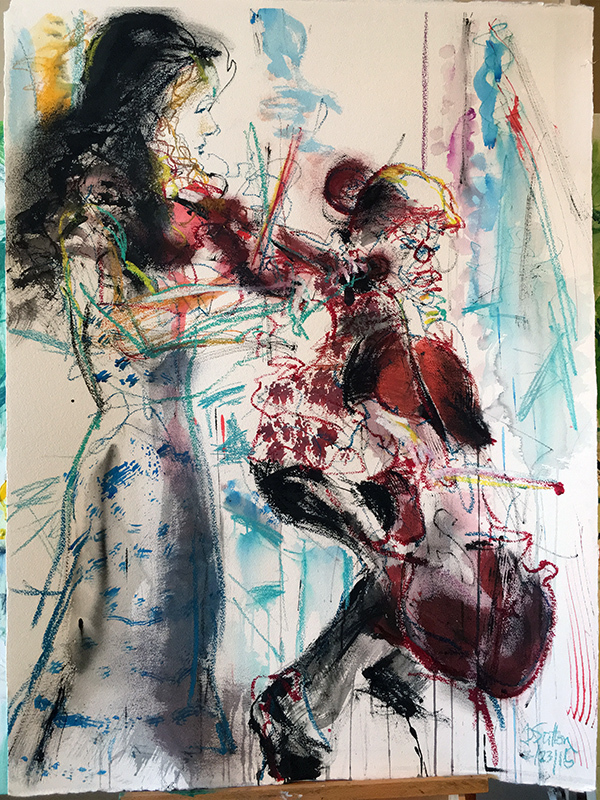 “Line,” “Shade” and “Texture” will be featured guests for Parallel Play’s July program, which explores the age old art of figure drawing in a new way. 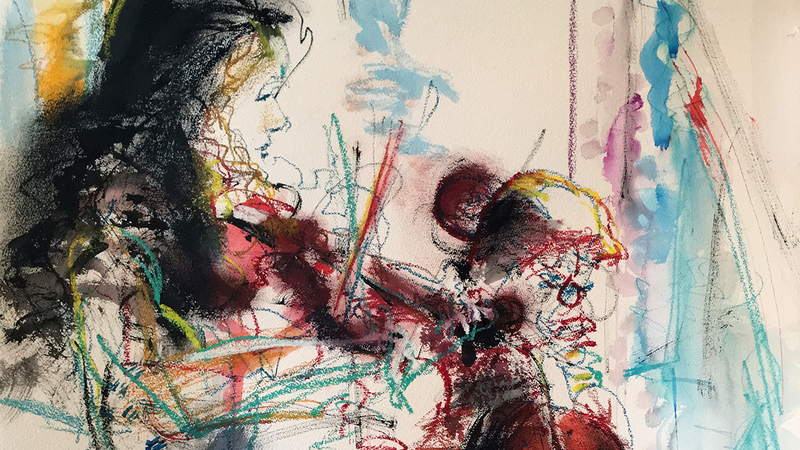 Artists Jeremy Sutton and Peggy Gyulai will draw, paint and scribble “figures” while interpreting a rich musical program performed by James Jaffe (cello) and Deanna Badizadegan (viola). See the parallels form between music and art as these two duos perform together. Parallel Play events fuse live music and art in boundary-busting performance formats, and take place in a beautiful penthouse studio in the heart of San Francisco. Guests become part of the experience as they enjoy good wine and great company.